The Dela Cruz Bloodline is known worldwide for producing some of the strongest working dogs. They are considered Southern California’s premiere XL bloodline. Sam and Oliver from the Dela Cruz bloodline actively participate in weight pull events around the United States. Their dogs “White dragon” and “Sancho” dominate the competition — Consistently taking home 1st place trophies. The Dela Cruz team feeds their dogs a high protein diet along with a premium kibble. One of the key ingredients in all of their dogs diets is Gorilla Max. 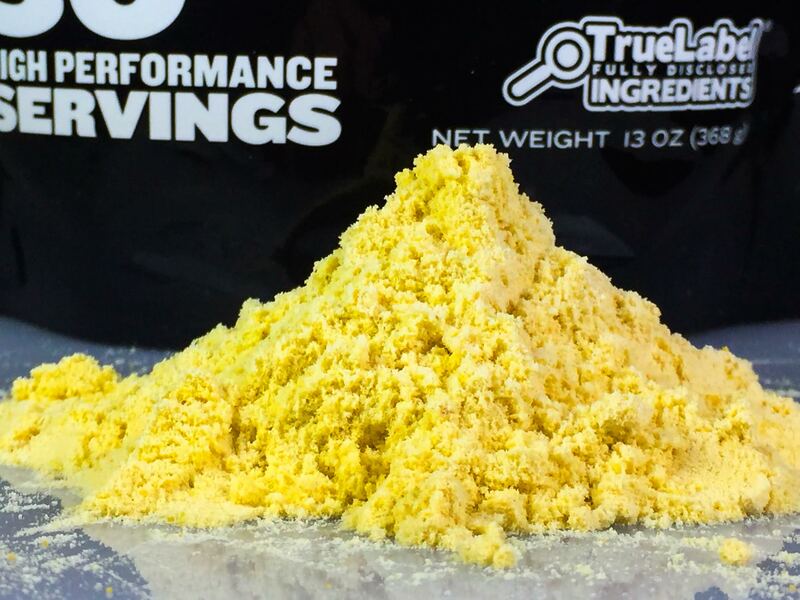 Gorilla Max is high protein high fat powder that is adding to their dog’s dry food. It contains over 70% protein per serving. It’s used for repairing and rebuilding their dogs muscles after a hard workout. Is this sport inhumane or cruel ? One of the most common misconceptions about the sport of weight pull is that it’s cruel or inhumane to the animal. In reality, it’s quite the opposite. Working breeds love to work and enjoy this sport very much. Their demeanor when working on the weight pull track shows that they enjoy this sport. The dog’s tail is constantly wagging and is in the upright position (a key indicator that they’re in no pain and showing no fear). If this sport was cruel or hurt the dog in anyway, they would have the opposite demeanor. Their tail would be tucked (showing fear) and they would tremble or whine (showing they’re in pain). Can all breeds participate in this sport? Yes! As long as your dog is willing to pull the weight, they can participate in this sport. Mastiffs, American Pit Bull Terriers, American Bullies, and English Bulldogs are all naturally drawn to this sport. However, weight pulling isn’t limited to just these breeds. Where can I get a weight pull harness? We recommend reading reviews online prior to purchasing from one of these dealers. Also, make sure the URL that you are purchasing from begins with https://. This will ensure that your credit card information is secure when making your purchase. Is weight pulling safe for dogs? It’s essential that you feed your dog quality food and supplements when working them out. Without the proper diet, it’s impossible for their muscle to grow and repair themselves. Dogs that are malnourished are also more prone to injury. The Dela Cruz team uses Gorilla Max. Gorilla Max speeds up your dog’s recovery time between workouts. It also ensures their muscles get the nutrients they need to heal and repair themselves. You can mix it with water and pour it over dry food. What time should you feed your dog Gorilla Max? Dogs benefit the most from Gorilla Max when its fed 30 minuets prior to workouts and 30 minuets after workouts. These are the two most crucial times that you’re dog’s muscles need fuel. Therefore it would be best to split the serving of Gorilla Max in half. 1/2 of a serving of Gorilla Max 30 minuets before workouts. 1/2 of a serving of Gorilla Max 30 minuets after workouts. 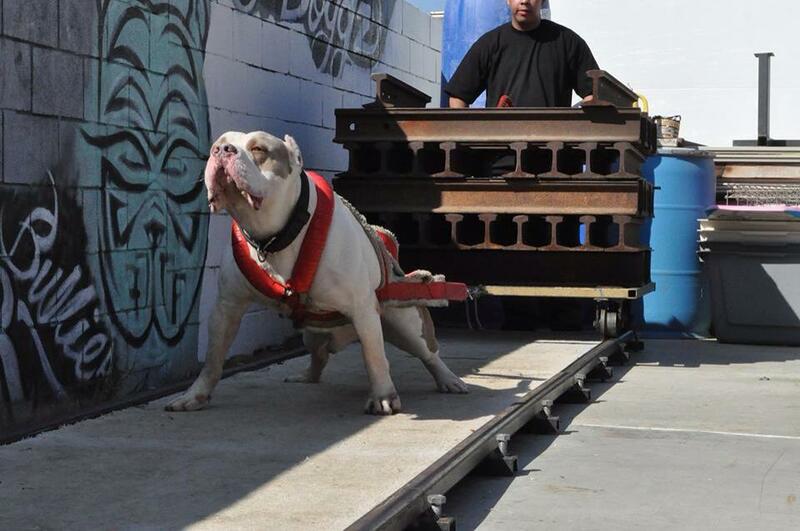 This entry was posted in Dog sports and tagged pit bulls, weight pulling. Bookmark the permalink.